If anything supernatural does exist, Highgate Cemetery would be it's natural home. It opened in 1839, a date not coincidentally following several years of municpal cholera epidemics, and was both elegant and expensive enough to quickly become fasionable among the Victorians. Just by applying the odds, it isn't surprising that many tales of mystery and tragedy are interwoven with Highgate's history. After all, over 165,000 people are now buried in the beautiful North London hill site that spreads over 37 acres. And two of those acres are unconsecrated ground. Highgate cemetery itself is divided into the newer and more currently used East, and the older, eerier West by Swain's Lane, a steep road that goes roughly from Highgate Village to Kentish Town alongside Waterlow Park. A disused underground corridor links the two halves, permitting coffins of previous eras to discreetly cross the road from the chapel when necessary. The well-known massive bust commemorating the burial place of Karl Marx is in the accessible East section, while the restricted access West is the more picturesque last home of such luminaries as 19th century physicist Michael Faraday and Elizabeth Siddal, the famously exhumed wife of Dante Gabriel Rossetti. Stories told by walkers on this bisecting road back in 1967 are what intially spawned the legend of The Highgate Vampire, a saga so controversial it continues to be debated to this day. 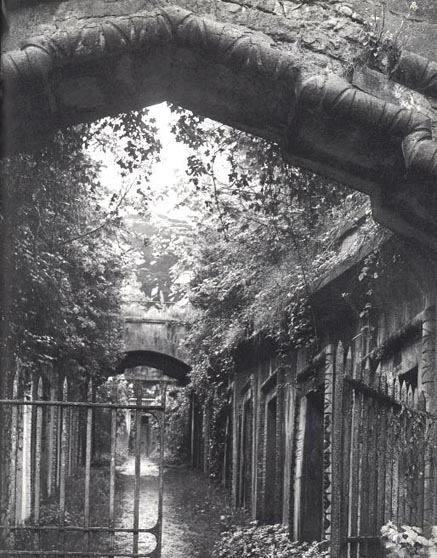 In considering the Highgate Vampire case, it is important to remember that the cemetery then was a much different place than it is now. The West side had been virtually abandoned by the then owners and was a derelict, crumbling wreck tangled in years of nature gone amok. Plants and animals loved it, but not many people seemed to. Teenagers and less naive thrill-seekers regularly trespassed amidst the ruins, resulting in desecration and vandalism, and all sorts of occult activities took place within its walls. 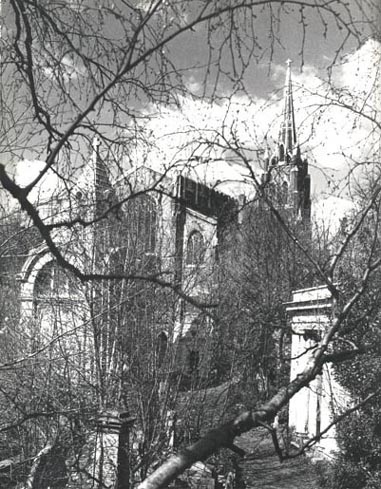 This state of affairs changed in 1975 when the cemetery was put in the control of the Friends of Highgate, and while their regime has been polemic at least the wanton destruction and easy access has been curtailed. Furthermore, the cemetery has always been well-known amoung the Horror cognoscenti as having been the inspiration for a particular scene from Bram Stoker's seminal Dracula. While the relevant subterranean family burial chamber has had it's glass viewing panels bricked over for many years, distorted whispers have continually if ambiguously linked the cemetery with the world's best known vampire. It was in this unwholesomely fertile atmosphere that rumours of the undead troubling the living began spreading, based on sightings from Swain's Lane through the permanently locked North Gate of the cemetery. From the North Gate there is a direct side path to the showpiece Circle of Lebanon, a ring of excavated vaults that surround a huge cedar tree far older than anything humans have constructed on the grounds. (The main approach to these catacombs is via the massive lotus-adorned columns of the Egyptian Avenue, on the opposite side of the Circle from St Michael's Church). Sean Manchester, self-proclaimed vampire hunter and then President of The British Occult Society, relates in his autobiographical The Highgate Vampire that a pair of teenage students from La Sainte Union Convent were walking home past the North Gate when they both saw what they described as graves opening and bodies rising. Manchester further tells that a young man was escorting his girlfriend home shortly thereafter, when both were terrified by a horrible visage from inside the same sealed gate, and that when the man later went ghosthunting he was frightened off by a overwhelming slow, booming sound and a dark appartition. These weren't the only disturbing stories by a long shot. By 1970, local newspapers were regaling readers with articles and ongoing letters-page dialogue about ghostly sightings. A spate of mutilated wild animals and pets were also reported, and it didn't take long before a supernatural link between the two subjects was forged. The neighbourhood had long been unhappy about how the cemetery once known as the Victorian Valhalla had become a rural slum, and these occult agitations were avidly recieved as further topics for complaint. Manchester was frequently in print both as subject and contributer, raising his public profile quite significantly especially when he announced his desire to exorcise what he was positive was a vampire. What had first convinced him was being contacted by Elizabeth Wojdyla, who had been one of the two convent girls and who sought his help to her sufferings from anaemia and nightmares about an animalistic man outside her window. Manchester asserts that he cured her by creating a protective shield with such items as garlic, salt and silver crucifix. Secondly, he was contacted by a woman named Anne on behalf of her sister, pseudonymously named Luisa, who had two pin-pricks on her neck and a compulsion to visit Highgate cemetery while sleepwalking. He followed her to the columbarium of the Lebanon Circle, where he and Anne experienced a booming sound like the one described a few years previously, and which ended when he threw a silver cross between the heavy, rusted iron door and Lusia. In March of that year, Sandra Harris of Thames Television's Today programme attempted to interview Manchester in front of the now notorious North Gate as part of a Friday The 13th show, only to be forced to relocate further down Swain's Lane by an outbreak of freak weather. The rest of the show consisted of an official vampire hunt by Manchester and two assistants, but within a couple of hours of the televised announcement nearly 100 other people were traipsing all over the place and the police were forced to intervene. These freelancers included John Pope, who in 1973 tried to summon the spirit of Count Dracula with a magic ceremony in his hotel room; a history teacher propitiously named Alan Blood; a local resident named Anthony Robinson, who insisted he heard a high-pitched noise and saw a grey shape during the proceedings; and rival vampire hunter David Farrant, who in 1974 was tried and found guilty of charges relating to grave desecration. Before things got too out of hand however, Manchester was lowered in by a rope to the columbarium and found three empty coffins, which he purified with salt, garlic and prayers against the possible return of any resident vampires. This affair escalated again in August, when a headless female murder victim was found near the columbarium. Manchester re-entered the purified vault during daylight hours and found that one of three empty coffins was missing. Led by Lusia as a psychic link, he then broke into the catacomb nearest where this woman's body had been discovered, where he contends that he found an extra coffin. Even more remarkably, he insists that within the coffin was a vampire, with clotted gore in the corners of its mouth and the complexion of a three-day-old corpse. Manchester says that he was constained by his assistants and the law from driving a stake through its heart, but that he did perform an exorcism and that the vault was then bricked up at his request after numerous safeguards to neutralize the vampire there installed. There is only Manchester's word for any of this, although an account of the exorcism was reported in a local newspaper. The vault is no longer bricked up and the Friends of Highgate have often denied that Manchester's activities were ever given any credence, much less that any action was taken as a result of his beliefs. During the next few months dead animals, mainly mutilated foxes and cats, continued to appear in Waterslow Park, and an escaped mental patient was found wandering the cemetery covered in his own blood. The BBC got in on the act with a documentary about the occult that included interviews with several vampire experts, including Manchester and Farrant. Some amateur film-makers claimed that the sightings had actually been of their actors roaming around in full costume. Several groups of lesser-known vampire hunters, some of whom were even sober, were arrested within the cemetery's walls. Satanic paraphernalia were found in the area. Finally, spurred by these and other events, Manchester re-entered the sealed tomb in 1977 to discover that the vampire and its coffin were gone. Two years later, stories about an infamous and supposedly haunted house situated at the corner of Cresent Road and Avenue Road in Crouch End, North London, began to appear in the local newspapers following complaints from residents of the old people's home next door about kids and vandals. A journalist found evidence of a witchcraft ceremony in a top floor room, and his report goaded Manchester to perform his own investigation accompanied by a psychic and sceptic friend. According to Manchester the trio's resulting ordeal included mysteriously destroyed equipment, inexplicable noises, suddenly mouldy food and being trapped inside their car by a terrifying evil force. He further states that the following morning he entered the basement of the ill-omened house and found his missing vampire laying in its casket. Having learned his lesson, this time Manchester drove a stake through the vampire's heart, then he and his friends dragged the coffin out into the yard, where they cremated the viscous slime left after the inpaled creature degenerated. There is a denouement involving Lusia carrying on the vampire's infection of evil, but the Highgate Vampire itself was no more. There is no doubt that Sean Manchester believes in everything he says. He even thinks he knows how the vampire came to Highgate, in the guise of a foreign nobleman who leased the home of Sir William Ashurst (Lord Mayor of London in 1694) that used to be on the site after Sir William's demise. But is the story of the Highgate Vampire true? After all, there's at least one woman in America who passed a lie detector test questioning her contention that she is currently living with Elvis Presley! The Friends of Highgate are deeply reluctant to talk about anything relating to vampires, and the tour guides usually pretend ignorance of the stories if any of the fee paying guests have the temerity to ask. 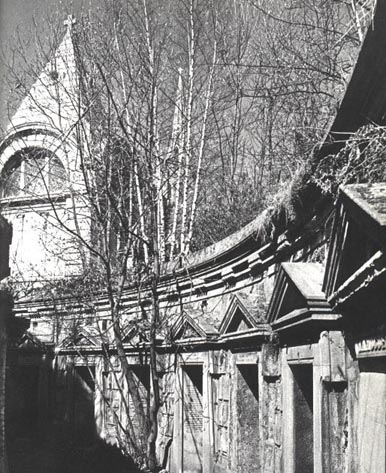 Author Felix Barker implicated the British Occult Society in the impaling of numerous corpses in the first edition of his book Highgate Cemetery: Victorian Valhalla, but later editions remove the charge. Authors Judi Cuthbertson and Tom Randall, however, write in their 1991 book Permanent Londoners; "Graves were desecrated by the High Priest of the British Occult Society. This lofty figure broke into at least two dozen tombs and drove stakes through the hearts of the deceased. He recieved four years in jail for his anti-Dracula activities". Manchester denies this unequivocally, saying that the accusations refer to the 1974 conviction of Farrant (which had nothing to do with Highgate cemetery) and are based on inaccurate newspaper reports, but it remains somewhat unclear whether any other criminal charges have ever been brought against Manchester or other members of the Society. 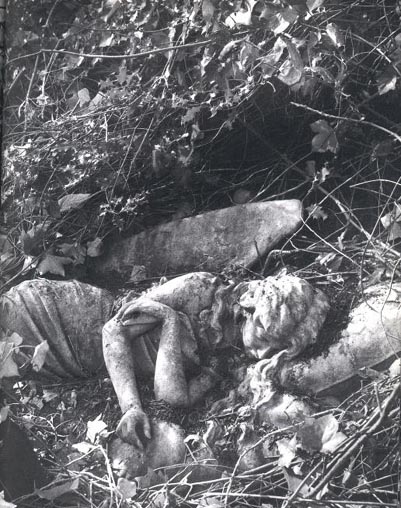 As to proof, there are many photographs in Manchester's books and other publications, including one purporting to be the Highgate Vampire as it began to decompose. But technically aware minds are rarely convinced by photos, the pertinent sections of Highgate cemetery have been restored well out of their 1969 squalor, and the Crouch End house has been demolished, although part of the original house is still visible within the new structure built on the site. Anyway, if faith and belief alone are not enough to convert unbelievers it is difficult to determine what type of evidence would be enough to be convincing. Except of course, a first-hand encounter with one of the Highgate Vampire's relations.